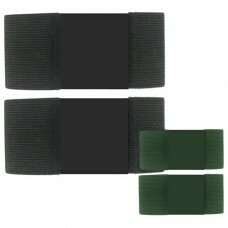 Vanguard® - Trouser Blouser (The Better Boot Blouser) - 2 inch Elastic (Your choice of colors) - Price per pair. At Vanguard® we understand that our customer takes honor, courage, pride and commitment very seriously. We understand that our customer has high values and standards. Vanguard® is honored to share in our customers pride and professionalism by knowing that our products will validate the respect our customer’s deserve.